Vain Pursuits is the second book in The Bunny Elder Mysteries/Adventures Series, a cozy-suspense-adventure and romance series featuring a mature, female protagonist who has to do a lot of growing up in late life. This second book in the series is set primarily in Italy, which is why I read the book and am reviewing it here. Bunny Elder's humorous perspective dominates Vain Pursuits, but we do get to see, convincingly, into the minds of a few of the other characters, too. However, Bunny Elder is the star with her dry wit, varied life-experience, random musings, and quick take on the characters who cross her path. She is also religious, finding strength and comfort in her Christian faith. She found these books with their blow by blow, as it were, descriptions of 'then he did this and she did that' with heaving bosoms and pulsing manhood, off-putting, manipulative and salacious. 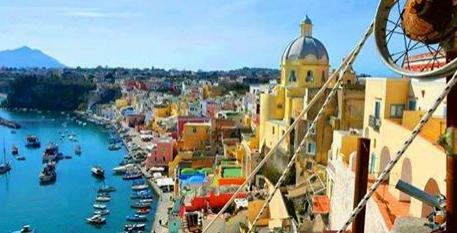 The trip to Italy is Bunny's attempt to help her recently widowed sister recover from her loss and grief. She was counting on the trip to restore Taffy's spirits enough to ward off another depression. There is no timetable for grief, but mourning can so easily become a habit. Like lying down in wet cement, depression is harder to escape the longer you stay in it. Bunny, too, is still suffering from the violent loss of her husband, the central story in the first book in the series, Hollow. 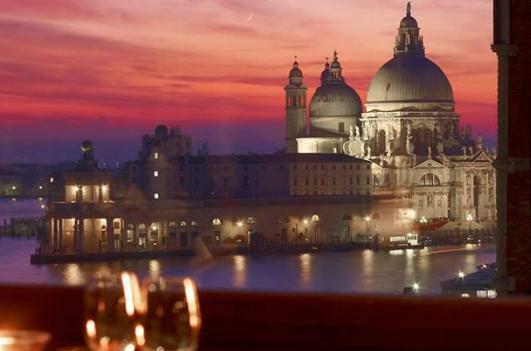 The sisters' plane touches down in Venice, Italy, the first stop on their tour of Italy. On the plane, they make a chance encounter that is the first of many unwitting moves in a cat and mouse game the two women unknowingly play with gangsters, from Venice to Naples. 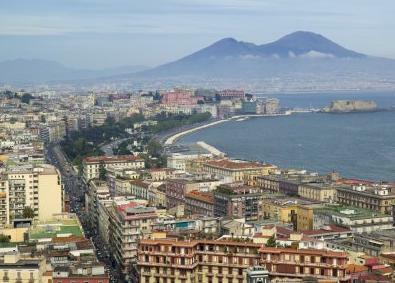 The climax in Naples is a bit rough for a cozy novel, but all ends well, as one would expect. ... I do feel proud of myself for actually making the trip and not just dreaming about it. Raised to feel guilty for everything from eating the last doughnut in the bag to global warming, Taffy and her sisters lived in horror of getting into trouble of any kind. 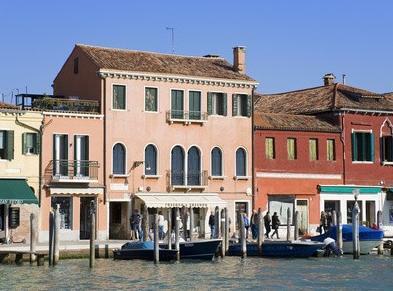 A run-in with the Italian police was the worst kind of trouble and beyond her ability to cope. Late blooming, late self-realizing Bunny Elder's adventure is resolved before the end of the book, but her love-life and personal growth are not. Those are the strands that link the book to the next novel in series, Seadrift. The books are well-edited and well-written. If you are fond of cozies, and like a mature, female protagonist, this is a series for you. 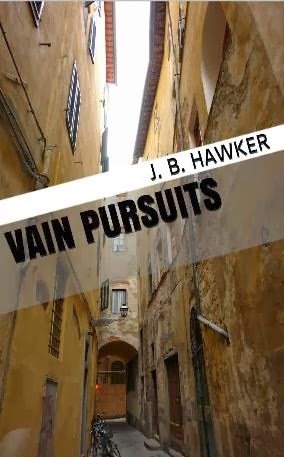 If you are an Italophile, as I suspect you might be because you are visiting the Italophile Book Reviews site, then you will certainly enjoy book two in the series, Vain Pursuits, the most. Here is a link at Amazon.com to a special e-book bundle of the whole Bunny Elder Adventure Series, all four e-books, for a special price that saves you quite a bit of money! This second book in the Bunny Elder series finds Bunny flying off to romantic Italy as traveling companion to her newly widowed sister. It seems like the trip of a lifetime and a chance to recover from her pastor husband's recent murder, as well. Little does she suspect that this trip in search of a special Neapolitan nativity set for her sister's collection will ensnare the two women in a muddle of smugglers, Italian mobsters, kidnapping and death. Can even an unexpected reunion with her first love prevent this dream trip from becoming Bunny's worst nightmare? Hollow, the first book in this series, and Vain Pursuits are both recipients of the coveted BRAG Medallion awarded by the Book Readers' Appreciation Group, IndieBRAG. The Medallion is awarded to independently published books that meet a high standard of criteria by the groups' judges, as explained on their website. In my opinion, all the books in the Bunny Elder Adventure Series are of the same high standard as Hollow. If you prefer, you can purchase the paperback editions directly from the publisher, Amazon.com's CreateSpace. Visit the author's website, her Facebook Page, and her personal blog Power Walking with Jonna. Grazie mille for posting such a generous review, Candida. Reading your encouraging words just made my day. I'm glad you liked it; you deserve it! Lovely book. Please feel free to quote from my review, and links back to here are always appreciated.